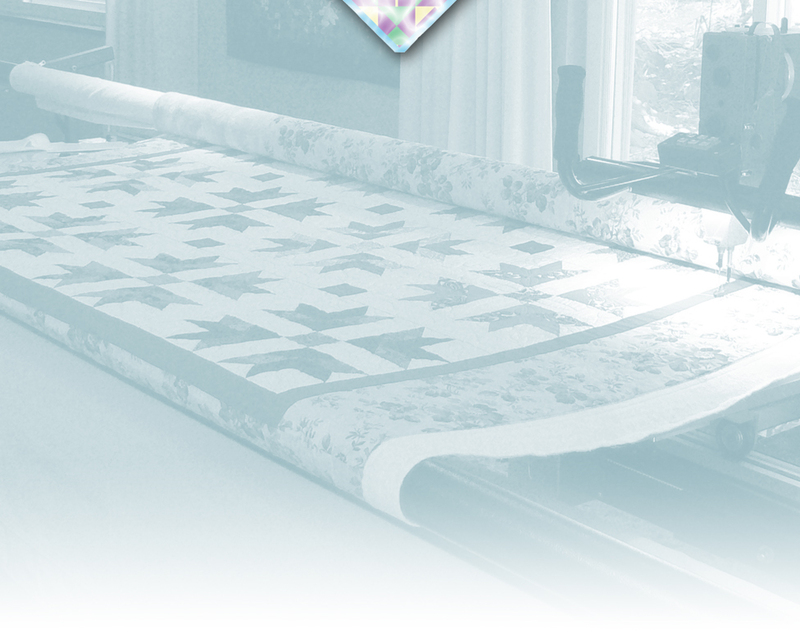 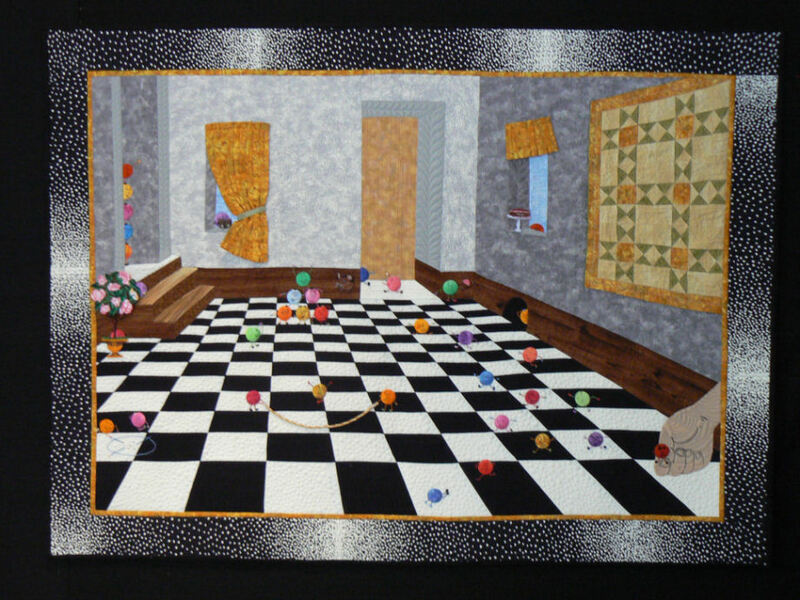 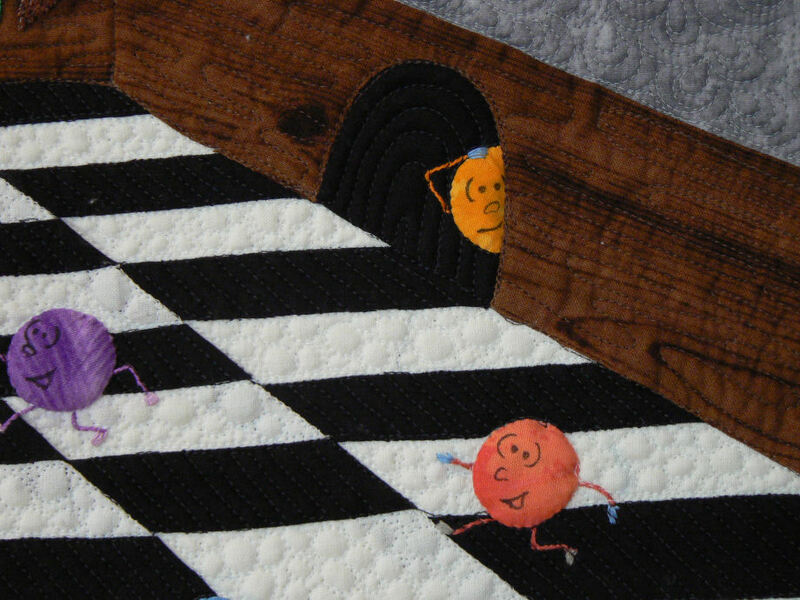 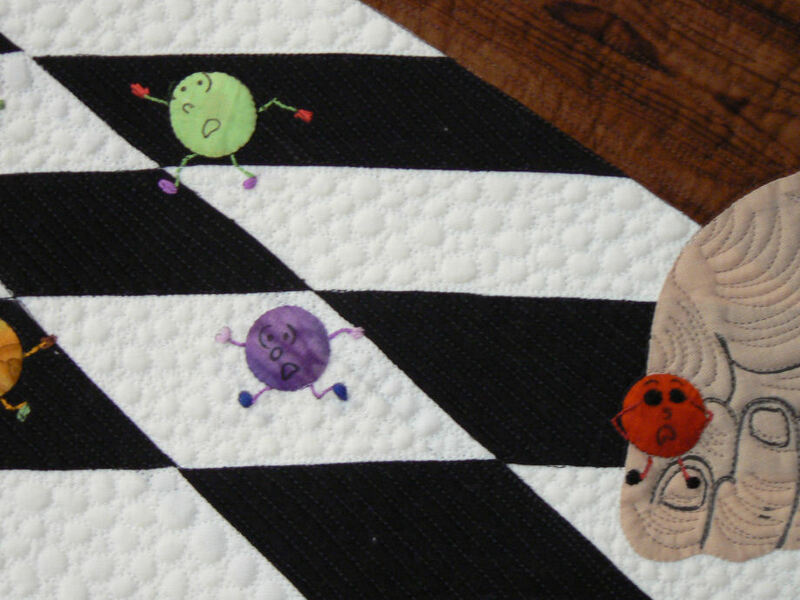 The quilt "Marble Mania" was created as part of a quilt guild challenge. 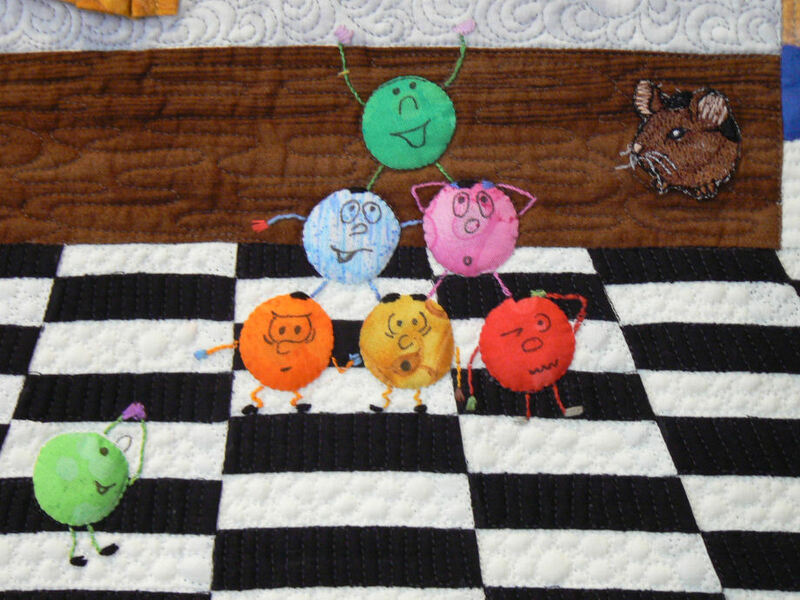 Linda's random draw was Knuckles Down Month (in celebration of the game of marbles). 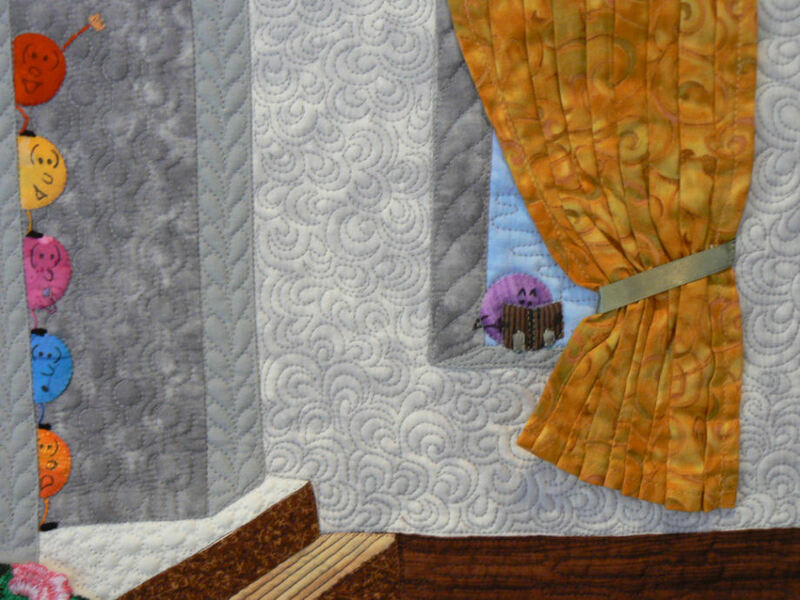 Humor seemed the only way to go.